One of the finest is "Kentucky River Marble," a crystalline magnesium limestone, or dolomite, from the Oregon Formation. 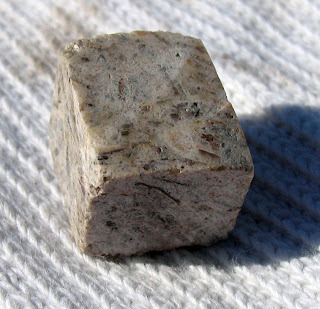 Real marble is a metamorphic rock. 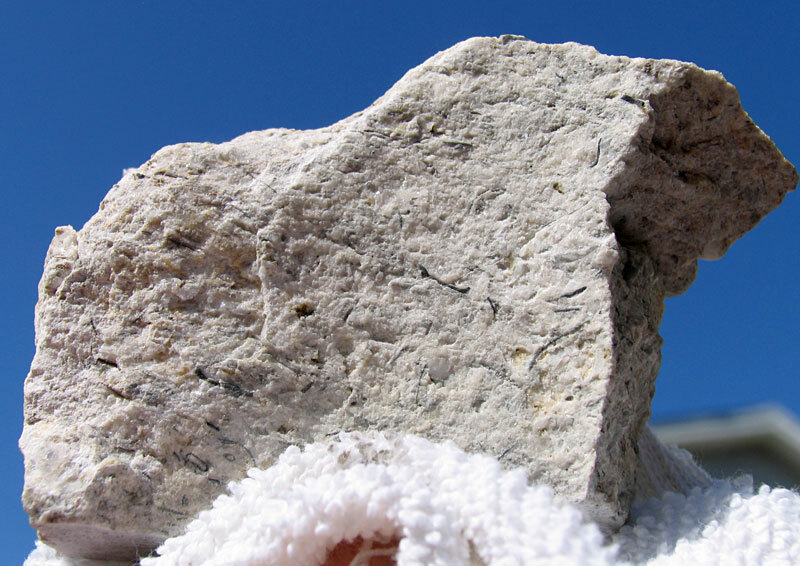 Sedimentary rock from the Oregon Formation has been used for Daniel Boone's Monument and the old State Capitol in Frankfort and for Henry Clay's Monument in Lexington Cemetery. This stone takes on a polish like true marble. These three middle images are of pieces I cut with the diamond saw and then polished with 400, 800, and 1000 grit wet sandpaper. Last, I used a rubbing compound for a final finish. 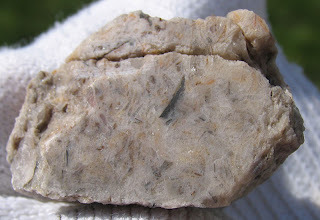 Highbridge Group: White to tan, massive, dense limestones and dolostones, which are late Middle Ordovician in age, that occur below the Lexington Limestone, usually in the gorge of the Kentucky River. These are the oldest exposed rocks in the state, and some of them have a peculiar tan, gray and white color mottling that is described as "Kentucky River Marble" when used as building stone. I tried cutting this piece into a cube with not so much accuracy. 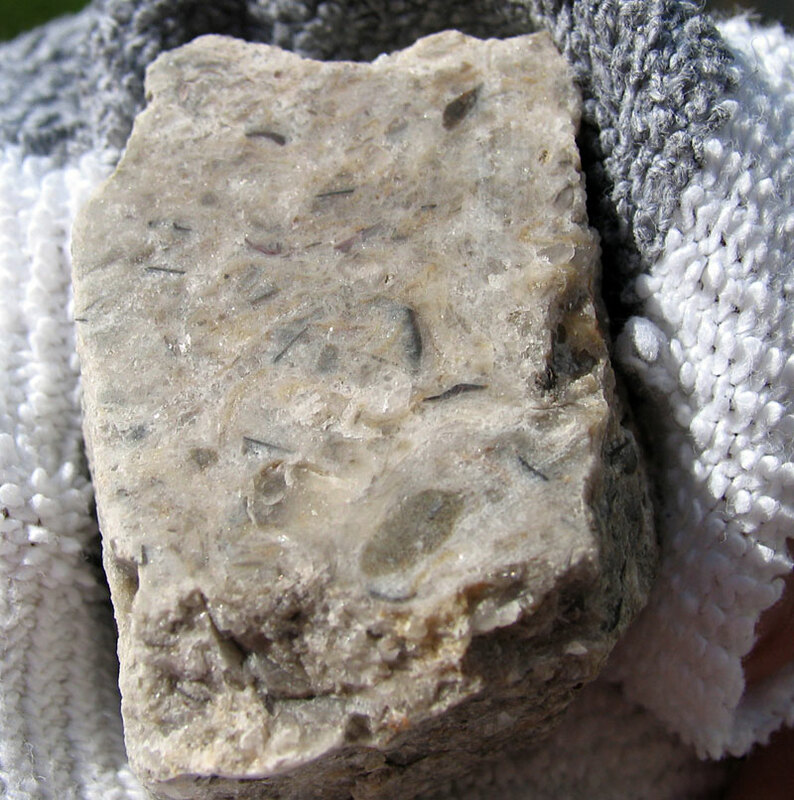 The "Birdseye" limestone, which is generally known in Kentucky, as the Kentucky river marble is found in large quantities, it is a most excellent building stone, the Capital Hotel, the Farmer's Bank, the walls of the State Penitentiary at Frankfort and the the old State Capitol, erected in 1829, are built of this marble. It is susceptible of a fine polish but the fact that it is so extremely hard and flint like, it will never become popular as a building material, where a polished surface is required. 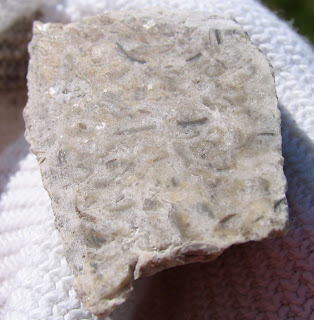 It is called "Birdseye" because of the small specks which look like glass or bird eyes and which are found all through this stone, these bird eyes can be more readily seen when the stone is freshly broken.